Religion and spirituality are not the main focus of Grief Compass, but we would be remiss if we didn’t acknowledge that they are a major influence on the way many people experience grief, and the way that grief can be complicated. Now, your god may be Christian, Muslim, Jewish, one of many, or may be an unnamed source of connection. Whatever it may be, it is very normal to feel distanced from faith in times of grief. If your faith tradition believes in an afterlife, friends and family will often use a cliché they’re comfortable with and assure you that your lost loved-one is “in a better place.” Though you may believe this is true, it doesn’t make it any less infuriating and excruciating that the person you love is not here with you. When you feel this kind of frustration, anger, or doubt, it’s a good time to seek council from a trusted spiritual advisor. If they’re experienced, they have no doubt traveled through grief with many people who share your faith, and he or she can offer guidance through the complex emotional relationship you have with God during this time. Usually, what a spiritual advisor will tell you is that it’s okay to be angry at God, [He] can take it. Most religions value love above all and even when you feel so angry and betrayed by God, despite your anger [His] love for you still abounds. So wail away, it doesn’t make you a bad person, just a human in pain. 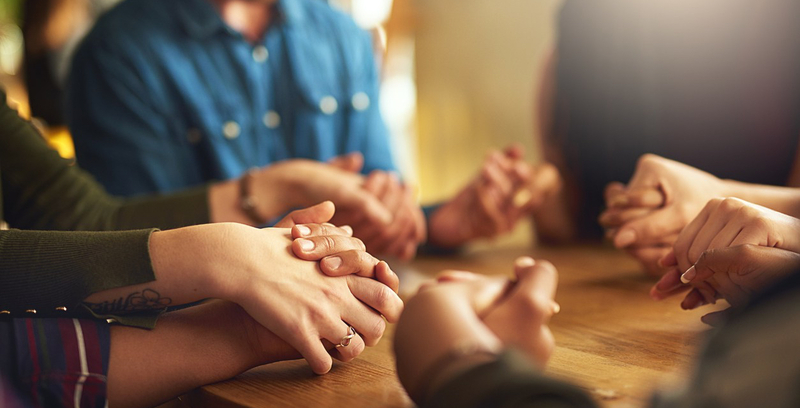 If you place great value on your faith, times of grief and sorrow are a time to stay honest with how you’re feeling and reflect on how those feelings integrate into your faith and individual relationship with God.